This is the seventh blog in a series of owl-focused posts to promote Owl Light, my new YA-friendly collection of stories featuring owls. 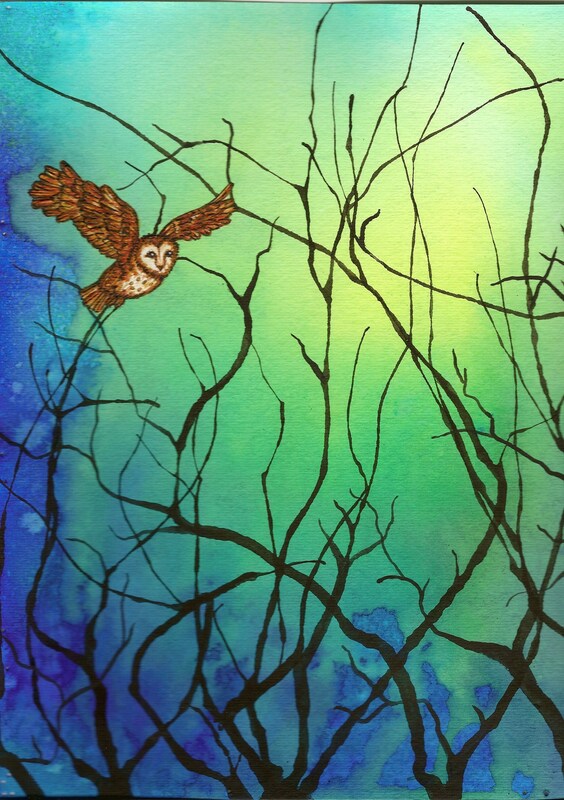 Each post features a mix of owl art, facts, folklore, quotes, and links to owlish sites. If you’re a fan of owls, or know someone whooo is, follow my blog, buy my book, and be kind to these beautiful birds. Owl art: The painting used for the back cover of Owl Light. Owl fact: The biggest threat nowadays to owls are pesticides that poison both owls & their food sources, habitat loss, and persecution from humans because of superstitions and folklore. If you spot an owl – enjoy the view, but let it be. If you want to help owls: 1) Try not to use pesticides. 2) Put up an owl box for a little man-made housing to replace a bit of habitat that we’re destroying. 3) Educate yourself, your family & friends about owls. And don’t believe all the negative folklore. Owl folklore: Athena, the ancient Greek Goddess of Wisdom, chose a Little Owl (Athene noctua) as her favorite bird. Owl link: The Powerful Owl Project in Australia is an example of owl conservation. Read more about it here and watch a video about Powerful Owls.